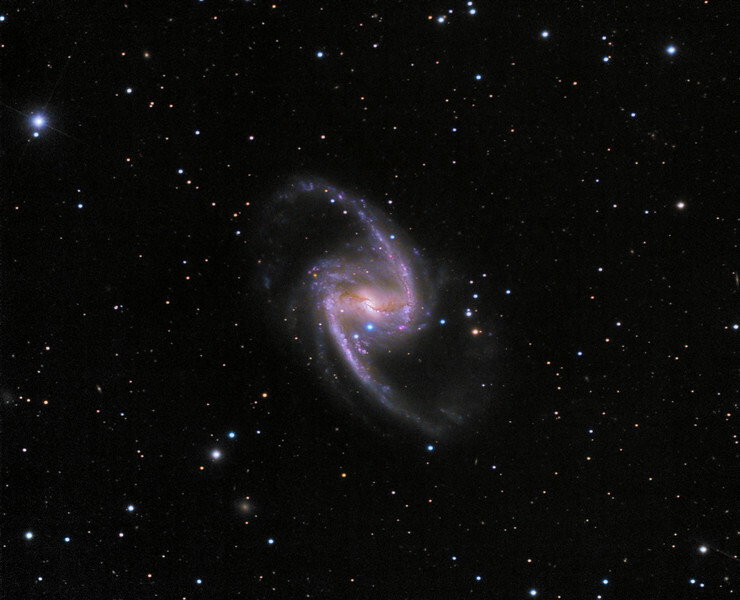 This image shows the large elegant barred spiral galaxy NGC 1365, located in the southern constellation of Fornax at a distance of 56 million light years. The bright and intensely blue star directly below the galaxy core is supernova SN2012fr, which was discovered by Alain Klotz (TAROT La Silla telescope) on 27th October 2012. This gives an absolute magnitude of -19.27 for SN2012fr. This means that if the supernova had occurred at a distance to us similar to Betelgeuse (643 light years), then its apparent magnitude would be -12.80, same as the full Moon!